Approaching decision makers is not a simple task. If you are tired of being transferred from one department to the next by chasing the key business connections, we can help! We put 125million households or 210 million consumers just within your reach. Our B2C consumer marketing data has segmented by psychographic, demographic & behavioral selections. 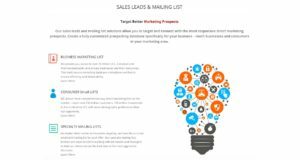 Compiled multi-sourced marketing list for better prospecting solutions for your unique industry email-list.net provides 42 million most accurate and fresh business sales leads and telemarketing list for global players. We deliver SIC code mailing list on a country basis. 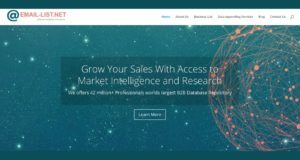 Find unique, quality, up to date and relevant SIC code marketing data with seven different data fields. 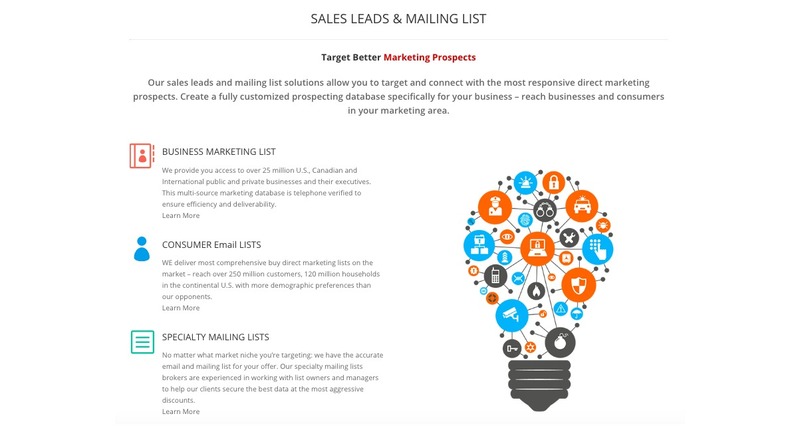 Pinpoint your perfect marketing prospects quickly by utilizing our targeted email database hand-pick your best consumer prospect across the globe. We do not just provide industry standards. We build them! 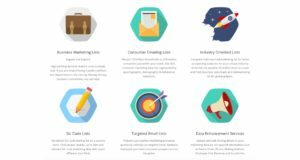 Utilize our resource of senior level marketing professionals and get over four decades of direct marketing skills. Reach the specific prospecting audience with relevant content or offers. 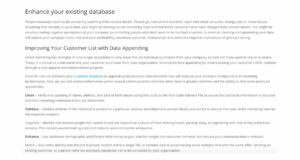 Filter our database with different segmentation such as Employee Size, Revenue, etc. Provide most valuable marketing strategies for boosting your Return on Investment. We don’t simply promise data accuracy; we back that up with our data replacement guarantee. We provide you access to over 25 million U.S., Canadian and International public and private businesses and their executives. 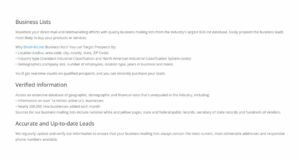 This multi-source marketing database is telephone verified to ensure efficiency and deliverability. WE deliver most comprehensive buy direct marketing lists on the market – reach over 250 million customers, 120 million households in the continental U.S. with more demographic preferences than our opponents. 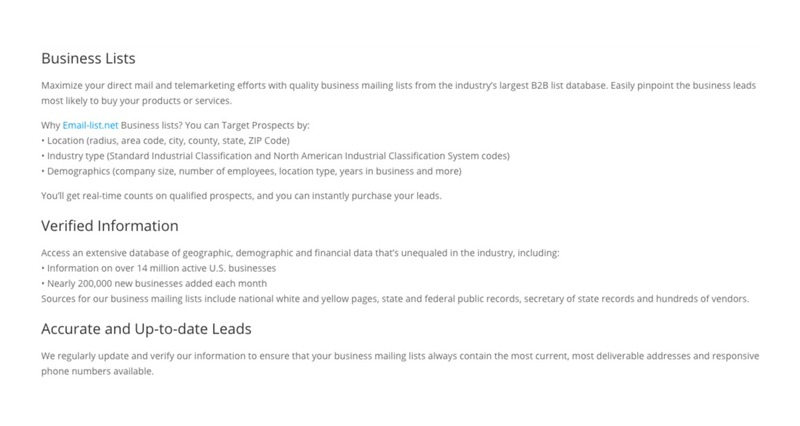 No matter what market niche you’re targeting: we have the accurate email and mailing list for your offer. 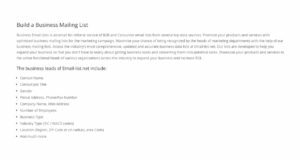 Our specialty mailing lists brokers are experienced in working with list owners and managers to help our clients secure the best data at the most aggressive discounts. How often should you update your Data quality strength? 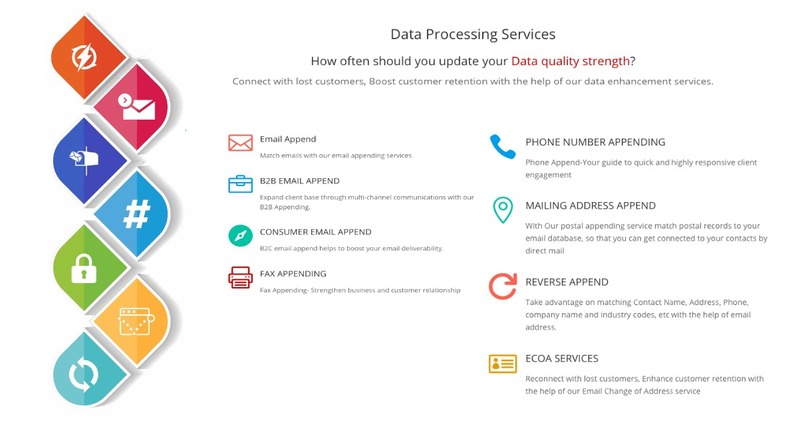 Connect with lost customers, Boost customer retention with the help of our data enhancement services. 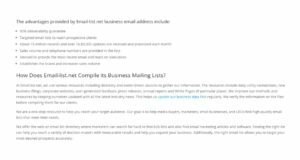 Match emails with our email appending services. 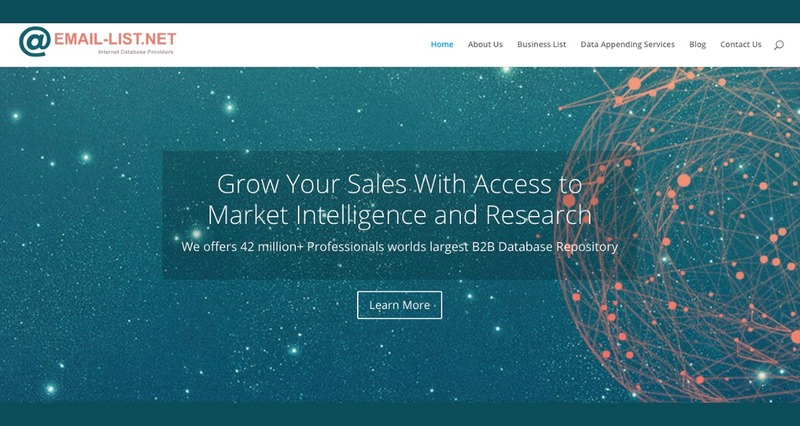 Expand client base through multi-channel communications with our B2B Appending. 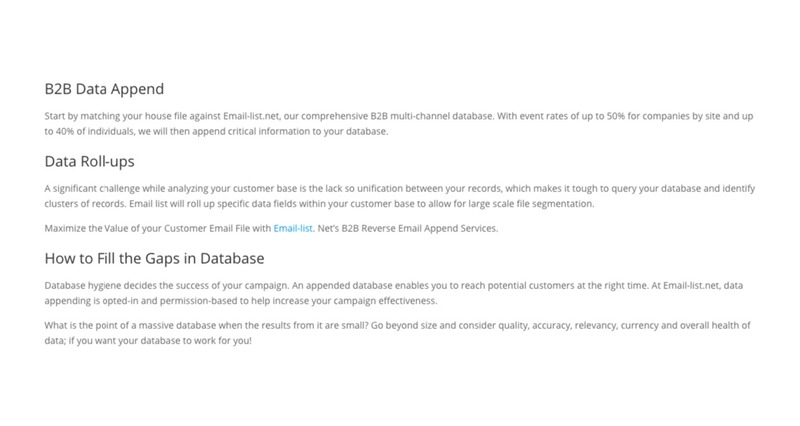 B2C email append helps to boost your email deliverability. 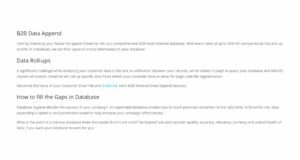 Fax Appending- Strengthen business and customer relationship. Phone Append-Your guide to quick and highly responsive client engagement. With Our postal appending service match postal records to your email database, so that you can get connected to your contacts by direct mail. 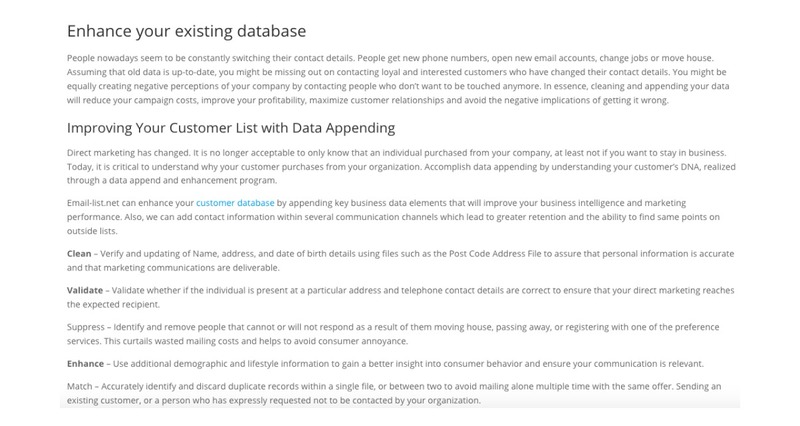 Take advantage on matching Contact Name, Address, Phone, company name and industry codes, etc with the help of email address. Reconnect with lost customers, Enhance customer retention with the help of our Email Change of Address service. 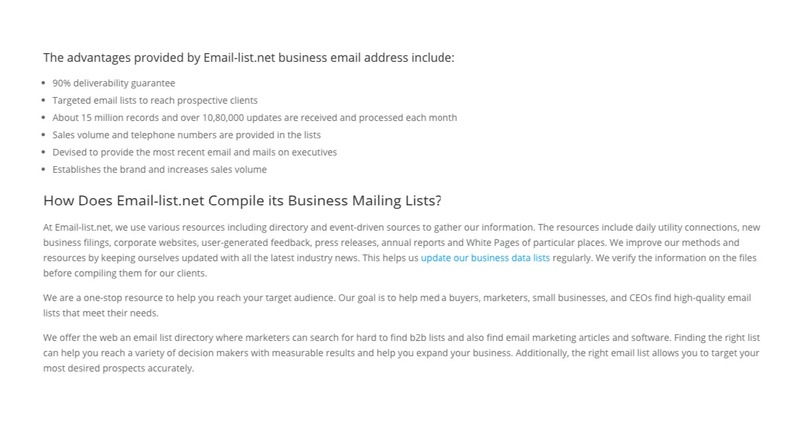 We don't have wiki content for Email List Marketing Services yet. 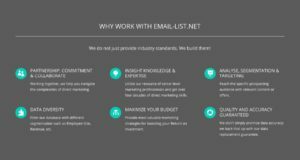 Are you familiar with Email List Marketing Services? 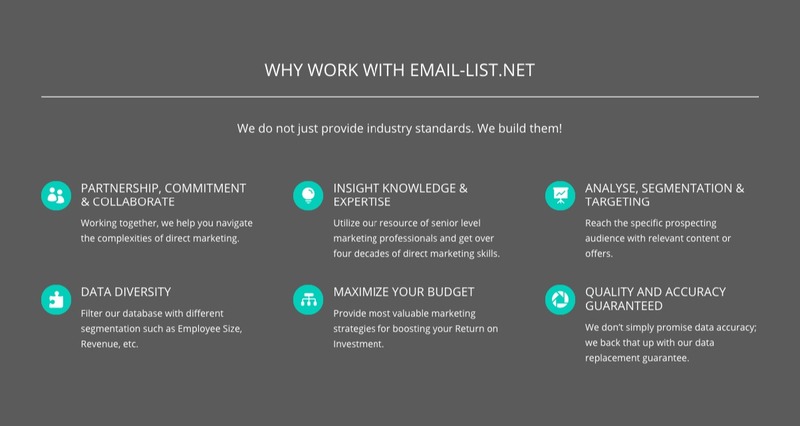 Please quickly share in your own words what Email List Marketing Services is all about! 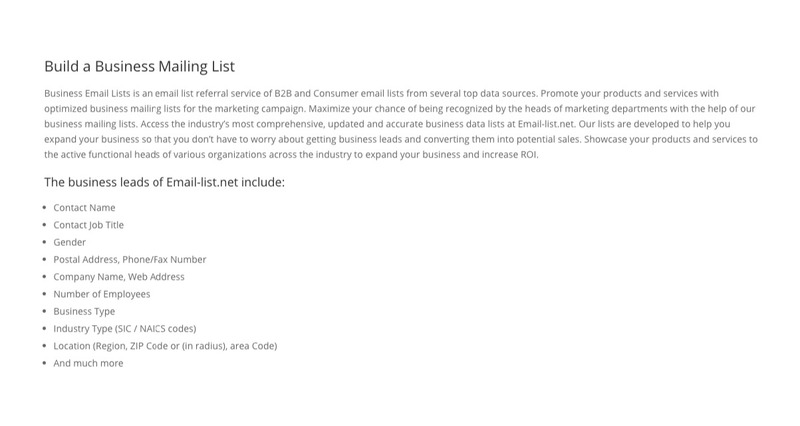 Share in your own words what Email List Marketing Services is all about.